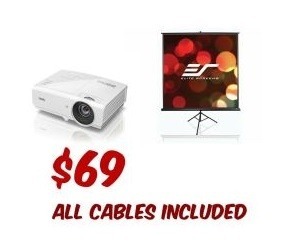 We make projector rentals simple, rent a projector and screen for just $69! No matter you have a Mac or a PC, we’ve got you covered! We will provide you with all the cables and adapters you need. All you have to do is enjoy!